Downy spot of pecans is a fungal disease caused by the pathogen Mycosphaerella caryigena. While this fungus only attacks foliage, severe infection can result in premature defoliation which affects the overall vigor of the tree, thus pecan downy spot control is integral to the health of the pecan tree. How do you treat pecan downy spot? 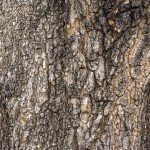 The following article contains information on pecan downy spot symptoms and tips for treating a pecan tree with downy spot. Downy spot of pecans symptoms usually manifest in late June to early July. Primary infection of new spring leaves stems from spores that have overwintered in old, dead leaves. The actual sign of a pecan tree with downy spot occurs near bud break in the spring. Downy spots appear in the late summer on the underside of new leaves. This downiness is caused by innumerable spores on the surface of the lesion. The spores are then spread by wind and rain to nearby leaves. Once the spores have distributed, the lesions turn a greenish-yellow. Later in the season, these downy spots become brown due to cell death in the diseased lesion. They then take on a frosty appearance and the infected leaves often drop prematurely. All pecan cultivars are somewhat susceptible to downy spot, but Stuart, Pawnee, and Moneymaker are by far the most vulnerable. The fungus survives the winter in infected leaves from the previous season and is fostered by cool, cloudy days with frequent rains. Pecan downy spot control depends on preventative fungicide sprays applied at budbreak. 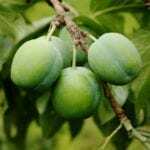 Even the application of fungicidal sprays may not entirely control pecan downy spot, but it should reduce the primary infection. Remove and destroy any fallen leaves from the previous year well before budbreak. Also, plant resistant or tolerant cultivars like Schley, Success, Mahan, and Western. Unfortunately, you may be swapping one problem for another since Schley and Western are vulnerable to pecan scab while Success and Western are susceptible to shuck dieback.